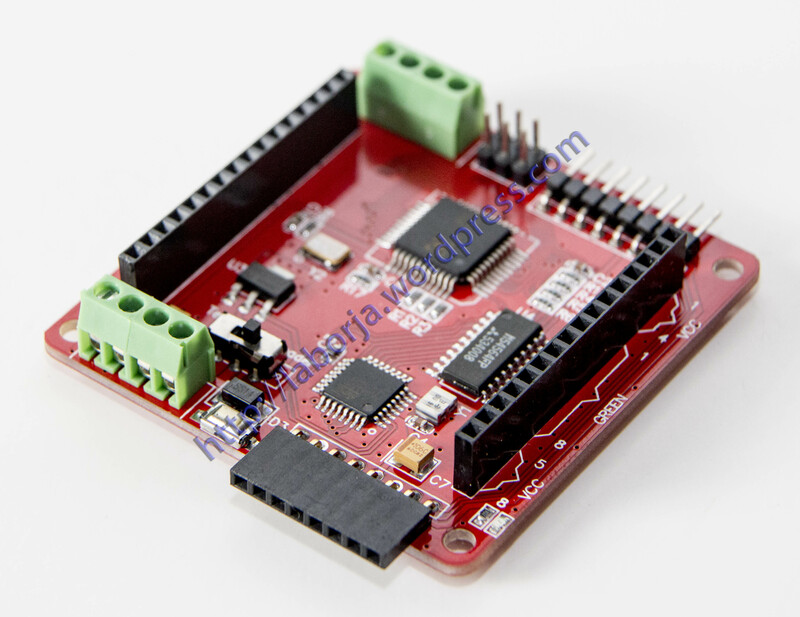 Full-color RGB dot matrix driver board is designed specifically for RGB full color dot matrix a the (for) control panel module, this module in addition to independent drive to the RGB dot matrix, but also can be used as a an (for) control panel to use. Very convenient and practical, on-board chip ATmega 328 chip, board above leads to the ISP interface, you can always give 328 chip programmer bootloader. The drawback is that unlike other (for) Uno board, did not lead to a corresponding I / 0 I out, but leads to some of the IIC interface and power supply interface. Working power: +5 V to +5.3 V.
Support multiple cascaded without hardware settings. Supports RGB the three monochrome display and mixed-color display. Dot matrix sequence plane rectangular coordinate system, to facilitate understanding. (For) development board power supply or external independent power supply. When multiple cascade, if the color is too dark, can improve the power supply voltage to 5.2v. Do not exceed 5.4V.